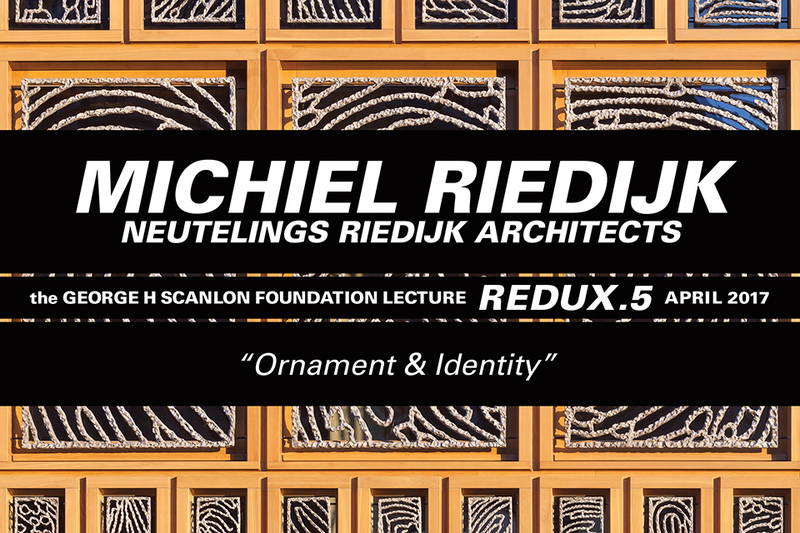 The Architecture/Landscape/Interiors Department at Otis College of Art and Design is pleased to announce the George H. Scanlon Foundation Lecture REDUX.5 by MICHIEL RIEDIJK! Through the initiative and support of Director Pat Scanlon, the GEORGE H. SCANLON FOUNDATION has generously funded an annual George H. Scanlon Foundation Lecture since 1998. 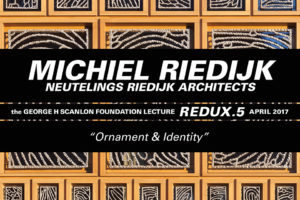 The George H. Scanlon Foundation Lecture REDUX.5 celebrates this enduring and successful 19-year lecture series by featuring its 2005 lecturer, MICHIEL RIEDIJK, who will present the work of Neutelings Riedijk Architects. Previous George H. Scanlon Foundation Lecturers were: (2016) Iñaki Ábalos / Ábalos+Sentkiewicz arquitectos REDUX.4, (2015) James Corner / Field Operations REDUX.3, (2014) Elizabeth Diller / Diller Scofido + Renfro REDUX.2, (2013) Winy Maas / MVRDV REDUX, (2012) George Hargreaves / Hargreaves Associates, (2011) Jürgen Mayer H. / J. MAYER H. Architects, (2010) Merrill Elam / Mack Scoggin Merrill Elam Architects, (2009) Sol Madridejos / SANCHO-MADRIDEJOS, (2008) Nader Tehrani / office dA, (2007) Elias Torres / Martinez Lapeña-Torres Arquitectos, (2006) Matthias Sauerbruch / sauerbruch hutton, (2005) Michiel Riedijk / Neutelings Riedijk Architects, (2004) Iñaki Abalos / Abalos & Herreros, (2003) Petra Blaisse / INSIDE OUTSIDE, (2002) James Corner / Field Operations, (2000) Dave Hickey / UNLV, (1999) Elizabeth Diller / Diller + Scofidio and (1998) Winy Maas / MVRDV. SEE and “LIKE” Architecture/Landscape/Interiors on Facebook!